Alternative health and wellness services to improve your mind, body and soul. Reiki, Reflexology, Acupressure, and Cranial- Sacral, to name a few services that help the body and mind focus on healing and relieve stress. A mindful approach to energizing and recharging the body as a whole. Reiki sessions are approximately one hour in length, and are performed with you lying on a comfortable massage table, fully clothed except for shoes. Reiki promotes profound relaxation, and also emotional and spiritual peace. Reiki balances and strengthens the life force energy, or chi, by reducing blocks to energy flow through the body’s meridian system. The meridians are the network of chi energy pathways in the body. 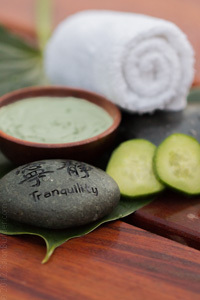 Reiki also helps to release areas of excess and stagnation of chi, which may contribute to stress. 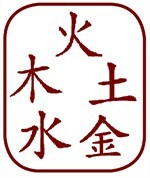 Reiki also assists with helping an individual draw in chi energy when deficient. This chi is not from the practitioner, but is through the practitioner, and comes from the universal chi, which permeates all of life. This session style combines Reiki with acupressure for times when deeper clearing and chi toning is needed, as in instances of long-term stress, or trauma due to sudden life changes. Acupressure is a technique where very specific points along meridian pathways are briefly stimulated with moderate to deep pressure for greater movement and opening of chi energy. The one-hour session is about half Reiki and half acupressure stimulated with moderate to deep pressure for greater movement and opening of chi energy. Reflexology is a form of massage and acupressure which employs your body's hidden meridians and pressure points to direct healing energies and promote healthy organ functioning; It is performed on the ear, hands and feet. ; Please direct your preference to your therapist before beginning your session. The practitioner gently works with the spine and the skull and its cranial sutures, diaphragms, and fascia. In this way, the restrictions of nerve passages are said to be eased, the movement of cerebrospinal fluid through the spinal cord is said to be optimized, and misaligned bones are said to be restored to their proper position. Craniosacral therapists use the therapy to treat mental stress, neck and back pain, migraines, TMJ Syndrome, and for chronic pain conditions such as fibromyalgia.This technique can be applied in combination with The Mantra Customized Wellness Massage. Please confirm with therapist. This session incorporates Shamanic techniques to achieve balance between the physical body and the mind. The practitioner tailors this to the goals of the client during the initial consultation Sessions may include massage, cupping, energy work, frequency and vibration work. Multiple sessions will be required to achieve the goal of integration and spiritual harmony.